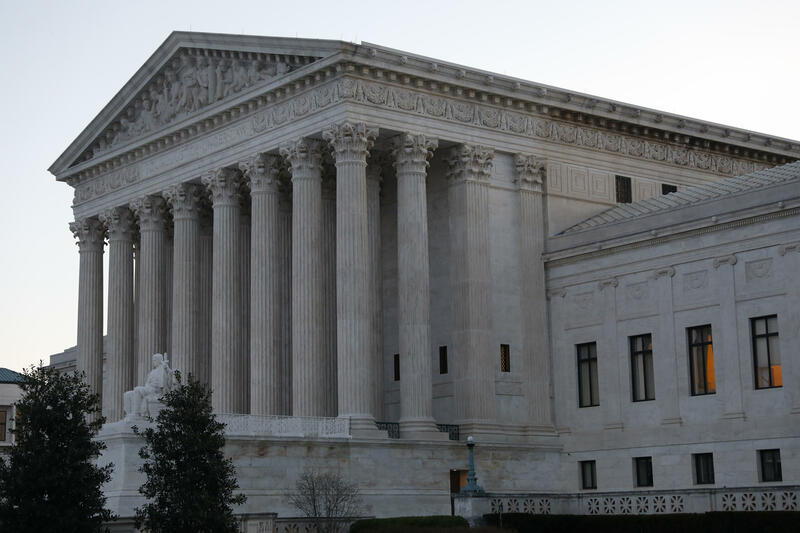 WASHINGTON— The Supreme Court is divided in a major organized labor case over "fair share" fees that nonmembers pay to help cover the costs of contract negotiations. Justice Neil Gorsuch said nothing during arguments Monday to indicate how he might vote on an issue that split the other justices 4 to 4 when it came up two years ago. The case, Janus v. AFSME, examines whether it is unconstitutional to require nonmembers to contribute to public sector unions they choose not to join. Illinois government worker Mark Janus says he has a free-speech right not to pay the union that represents all employees, not just its members, in collective bargaining. Labor leaders fear their members will abandon unions if they can get all the benefits of representation without paying for it.